Ottawa's Ice League 2016 campaign begins! Sat. Nov 5, 2016 at Vincent Massey Park. We'll be playing the 12 hole layout at VMP. This was a very well attended event last time hopefully we can do it again. I am guessing you will need the baskets? I will be in attendance and could bring them. Yes I need the baskets fot this and will be needing them throughout the ice league. Should be there for 10:30 to help with installation. I will aim for 10:30 then too. Still feeling happy after this event. Another great Saturday on the horizon! Thanks very much to BBP and Andros for taking on the juniors for the round. I can tell you from the conversation in the car ride home (and after the 2 more ours of DG they played at gardenway) that they were pumped about it. Great call by IL director Ben to put us in a sixsome for maximum fun potential. 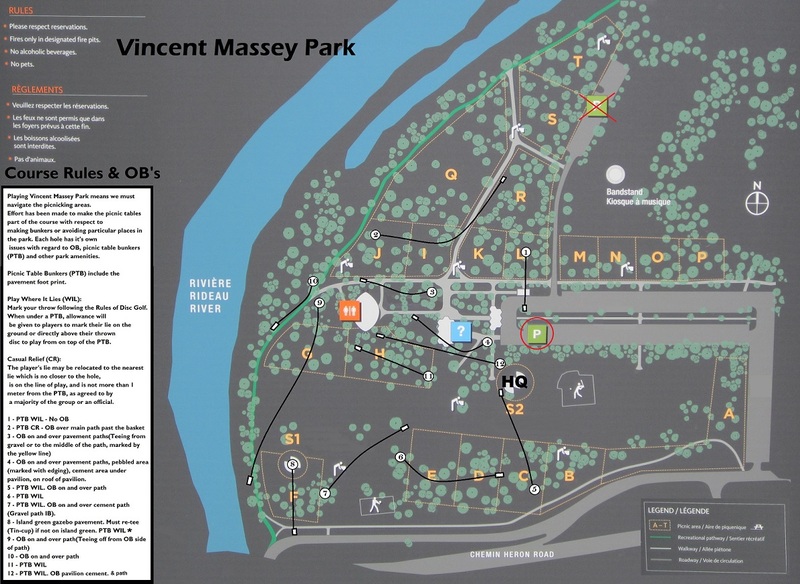 Hi, if you're looking for it, your flying disc is in Vincent Massey Park by the Day of Mourning Memorial.